This year I saw tents up in front of Best Buy as early as 9 days before Thanksgiving. 9 days of camping on concrete to buy cheap stuff. My immediate questions was, “Don’t these people have jobs?” I mean, they are planning to spend a lot of money, otherwise why camp out. No one camps out to get a deal on headphones. These people are looking for TVs, computers and such. That led me to the next question… How much are they really saving by giving up 9 days of work to camp out? 9 days before Thanksgiving means 7 working days. At $8 per hour, 8 hours a day, gives us $448 gross earnings lost. Then food for these days. Let’s assume they planned ahead and brought breakfast food. 18 fast food meals for 9 days: $126. That’s $574 in cost/lost wages to camp out for the chance to save money. That number goes up if the camper’s job is better than entry level. To make that worth while you have to buy a lot of big screens and computers and phones. It’s Thanksgiving! And I am so thankful to have my whole family together, and everyone and everything in Longview. In an attempt to save money, we opted to move ourselves. 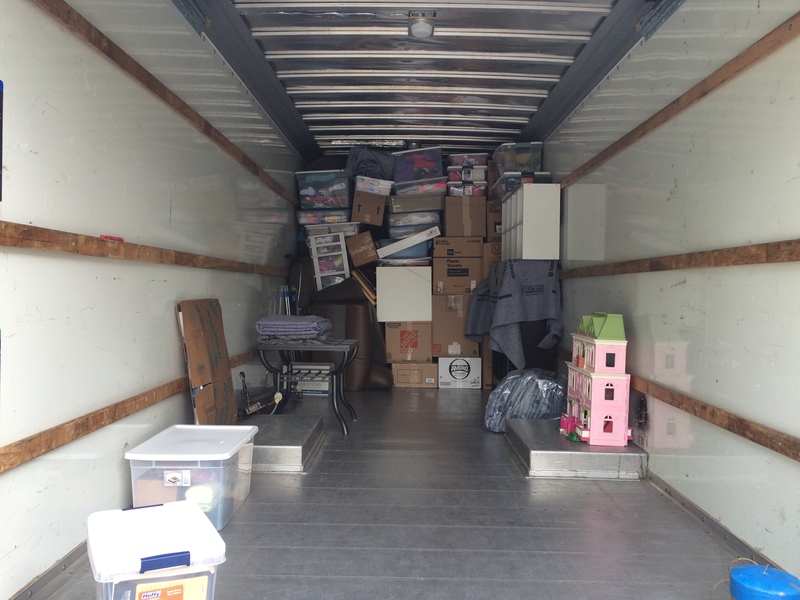 But because we have 17 years and 3 kids worth of stuff, we needed two trucks. We got a 26′ and a 17′ truck. Even then we were concerned that everything might not fit. I flew back to Florida on a Wednesday. We loaded up on Thursday, and then drove 16 ours the next day. Got some rest, and drove another 3 hours to our new home. 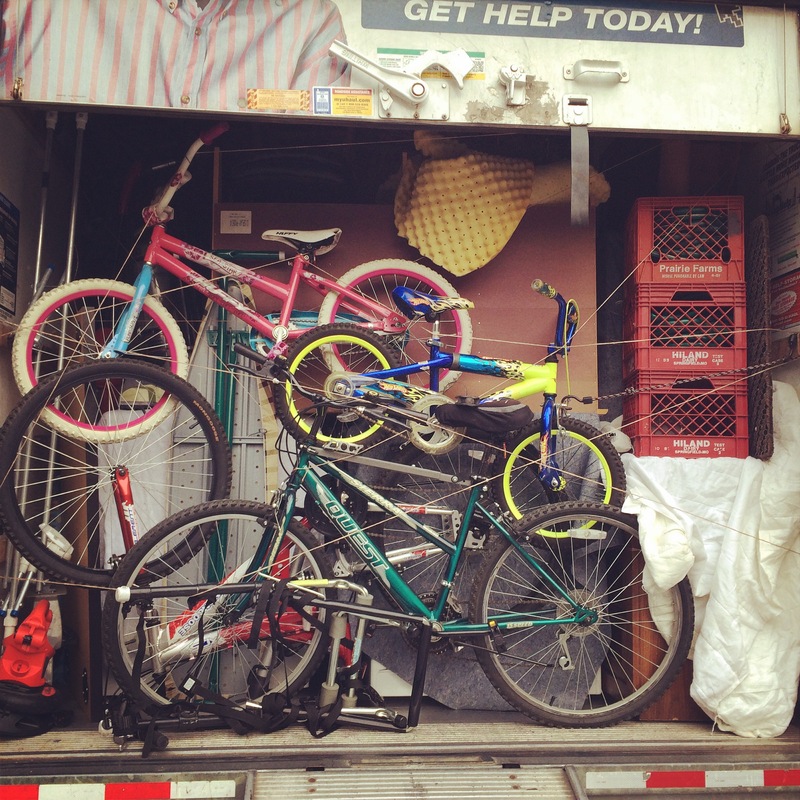 Then we unloaded. Sounds simple when you type it, but it was a lot of hard work. I don’t think I’ve ever packed tighter. The whole time we were loading the guys who were helping kept telling me how much stuff we had left… and wondering if we could fit everything. I was determined not to have to pull a trailer behind our truck. In the end, we had room to spare in the smaller truck. I was concerned about how things would ride. especially when we hit Jackson, MS and the awful roads there. Amazingly, only one plastic bin was broken. A few minor scuffs, but overall very little damage considering how back the rods were. 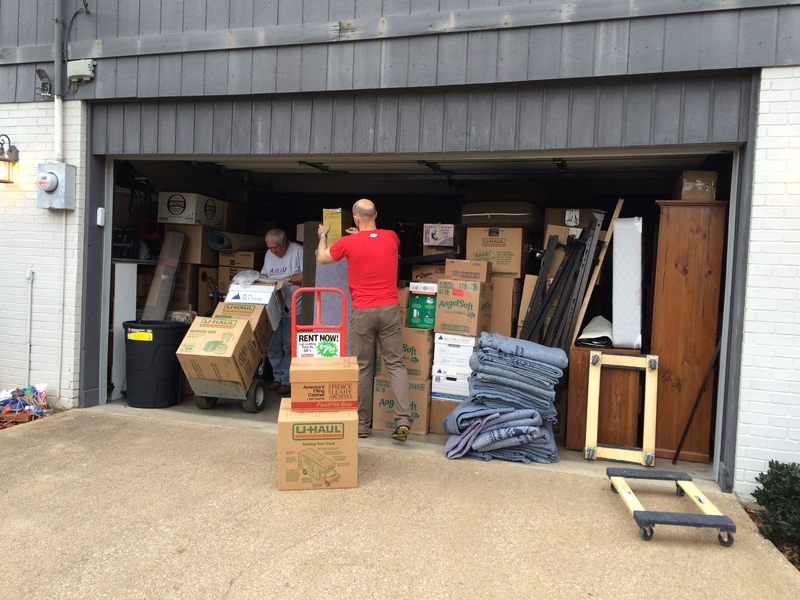 Since we are working on the house, most things went into the garage. It got very full. In the meantime, we had a couple of nights camping out. There’s still so much to do before we are completely unpacked and settled. But we are making progress. As promised (warned?) this is the first of a few home remodel posts. I wasted no time ripping out the old flooring downstairs. The kitchen and den had an old light colored laminate wood, while the living room and dining area had a berber style white carpet. White is never going to work with kids. 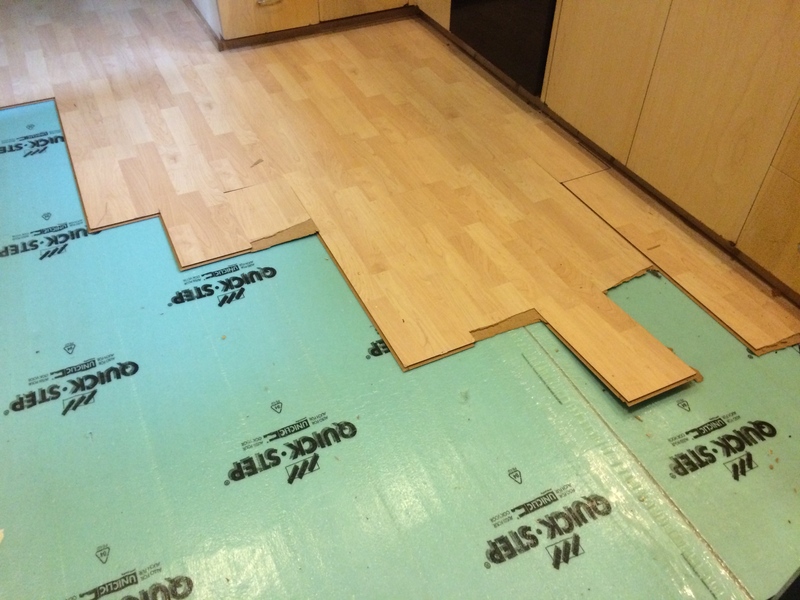 And laminate flooring in a kitchen is a bad idea. There were several places that had water damage. So we are replacing it with a wooden-look tile. The tile will be water proof and can be installed everywhere we want downstairs. It should be able to withstand wear and tear from kids and pets for years. We shopped around, and found a good deal. 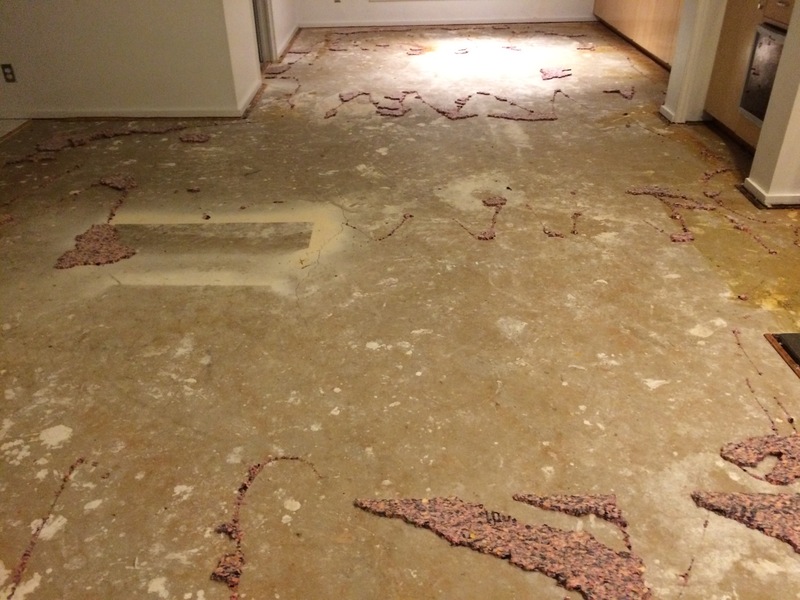 But the best way to save money on a flooring install is to do the removal of your old flooring yourself. We saved over a thousand dollars by doing that ourselves. I made a short video about how to remove laminate. It’s very easy to do, just takes work. You need a pry bar and hammer. First take off the “toe’ boards from your floor molding. Then find an edge and start pulling the boards up. Then pull up the underlayment (If you have any). 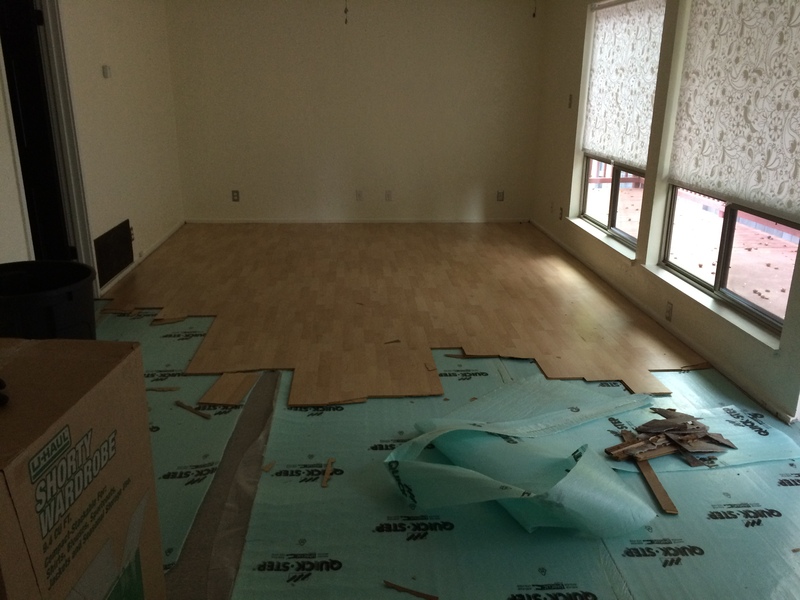 One thing to note, most trash services will not take laminate flooring. So plan to make a trip to the local landfill or make her arrangements for the old flooring. Because you never know what you will find when you start ripping out old parts of your house, be prepared for surprises. Turns out my house already has tile. Old 1970s tile. I was warned to check the size and make up of the tile. 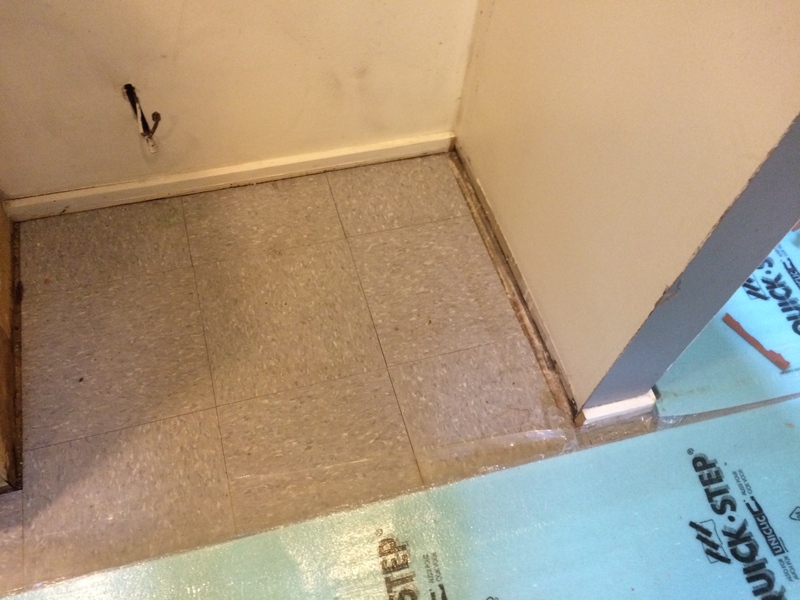 Some homes might have 9″ asbestos tiles. This was a 12″ linoleum tile. It’s ugly. 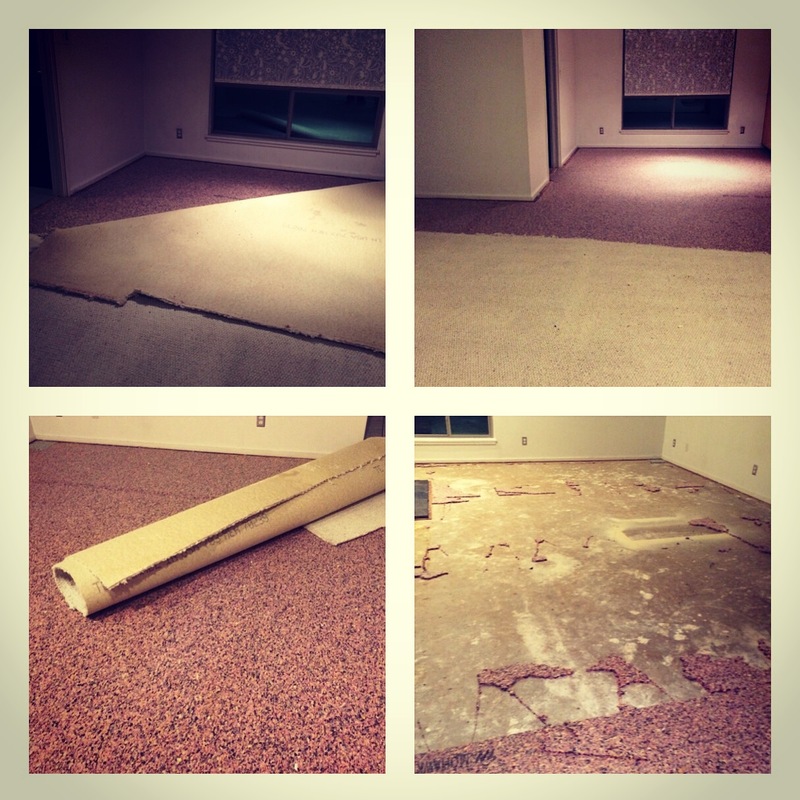 After the laminate I tackled the carpet. Find an edge, and start pulling. Most carpet is secured by small hooks on tack strips at the edge of the room. Be careful and wear gloves. The tack strips may be lodged in the carpet, and you can easily cut your hand. Carpet is heavy. Make sure you cut it into strips light enough for you to move without injuring yourself. You’ll need a sharp utility knife. Check with your trash service. Mine would pick up carpet and pad as a bulk its at no extra charge. Sweep and clean your floors. 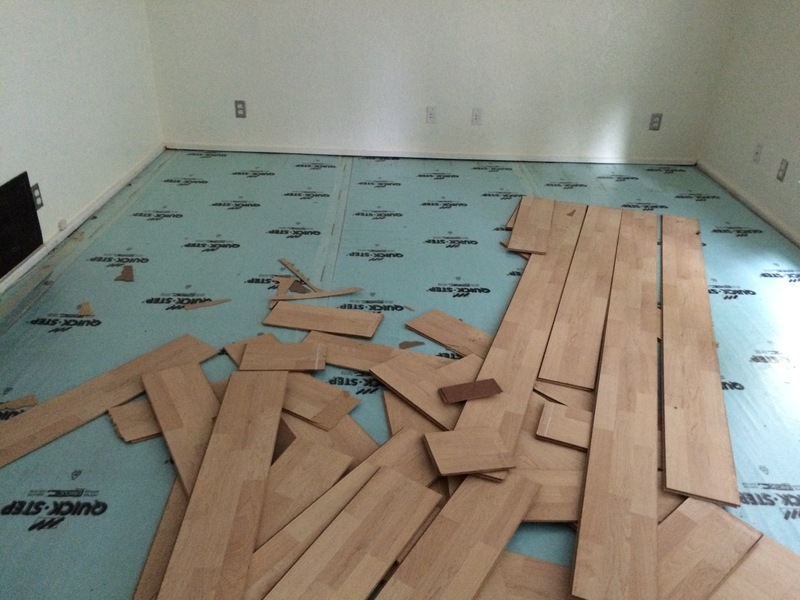 make sure all the nails are out of the base boards, and get ready for your new floor! We closed on our new house here in Longview. 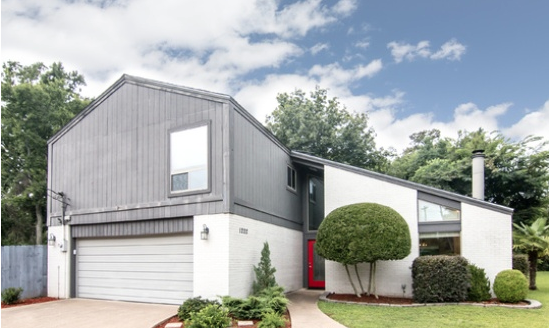 It’s a Contemporary/Modern style home built in the 70s. (so, 1970s Modern style. Which isn’t modern, but is interesting.) It won’t be the first time we updated an older home. When we lived in Louisiana we had a house that we did quite a bit of work on; windows, paint, bathroom remodel. 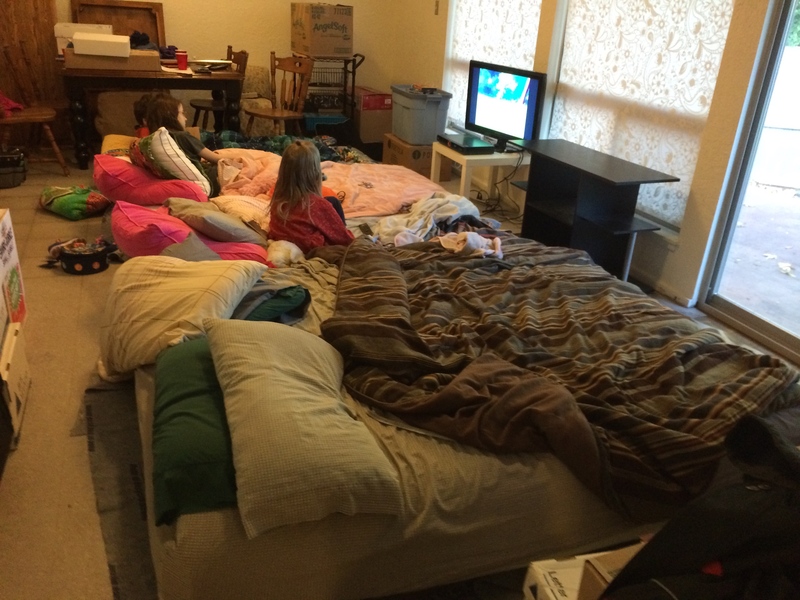 We didn’t go crazy, but the work we did/had done really improved the house. Our new house has been previously updated some. But we need to do several things to it. So I am thinking about writing up the work. First up will be something like “Floors and Fixes” followed posts about the deck, hot water heater, gutters and more. Once in a while religious filmmakers can find themselves drawn into a discussion about Evangelical films versus what I call “Discipleship” films, which are films targeted at people who already have a relationship with Jesus. I have already written about this, and I fall firmly into the “do what God has called you to do” camp. If you feel strongly that films should be evangelical, go produce them. 1. Your Primary Audience is Christians. Let’s be honest, unless you have Christian Bale as Moses and a biblical-epic-scale budget and effects, most of the people who see your film are going to already be Christians. “God’s Not Dead” did OK at the box office, but as an evangelical film I think it struck home with people questioning their existing faith more than any atheist who got suckered into watching it by their religious friends. The majority of people attending a religious movie screening will already be believers. Why not focus on growing those folks? 2. People in the church desperately need discipleship. While there are exceptions, generally half of the people who go to a given church are not involved in a small group Bible study. They get all of their teaching from the weekend service. Any pastor will tell you that’s not enough. Far too many people in the pew have much too little knowledge of what the Bible actually teaches, and what it truly means to live their lives according to those teachings. Teaching truth through story was one of Jesus’ favorite methods. Do you think it is easier for someone to tell you the 3rd point of last week’s sermon or the plot of the last movie they saw? We can attract a Christian audience and teach them something that they can hang onto in the process. 3. The two kinds don’t have to be exclusive. A Discipleship film can have an evangelical element, just as a movie with a strong evangelical message can teach biblical truth to the viewer. Take for instance a movie set in biblical times. A movie on the life of Christ is obviously both a discipleship tool and a depiction of the Gospel message. 4. Movies may not be the best evangelism tool. OK, now I’ve made someone mad. I’m not saying the Holy Spirit can’t use a movie to lead someone into relationship with Christ. He has, he can, he will. What I am saying is that the percentage of faithful that asked Jesus into their hearts because of a movie versus because of a friend talking to them is pretty skewed. Personal evangelism is going to win out every time over mass evangelistic efforts. (I’m talking about Western Culture here.) One reason is that on screen conversions scenes feel really fake. And weird. It’s super hard to capture a scene like this in a way that feels natural. Just because something is hard doesn’t mean you shouldn’t do it, but a Discipleship picture will probably reach its goal much more effectively than an Evangelical one. If you are set on using film primarily as an evangelical tool, do it. At some point I will probably write an Evangelical script. Right now most of my work seems to fall into the Discipleship camp. I’m passionate about helping believers develop a biblical worldview. If you are trying to decide what kind of film to make, give the Discipleship movie a shot.